This is a free recruitment and you may apply directly to Dubai Health Authority. Two years experience in Geriatrics and Home Care. 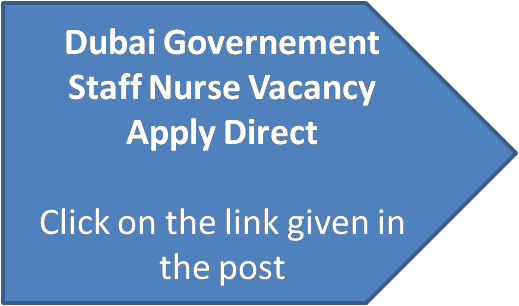 How to apply for Staff Nurse Vacancy. Please CLICK here to get all details and apply directly.